There were a lot of sweaty palms on Wall Street yesterday. As the Government Accountability Office released a report suggesting that regulation of Wall Street is a complex maze of inefficiency and fragmentation leaving gaping holes in which crooks can find fertile ground, the U.S. Justice Department was perp-walking a 2002 Harvard Law School graduate (whose family name resides on the student center there) on charges reminiscent of a Bernie Madoff startup. The Justice Department is calling this a $95 million fraud because on top of the $24.6 million that was defrauded from the charity, Caspersen attempted to obtain “an additional $20 million investment from the same charitable foundation and a $50 million investment from another multinational private equity firm headquartered in New York,” ostensibly to cover up the first fraud in a Ponzi like operation when the charity demanded its first $25 million back. Caspersen failed to obtain the additional sums. 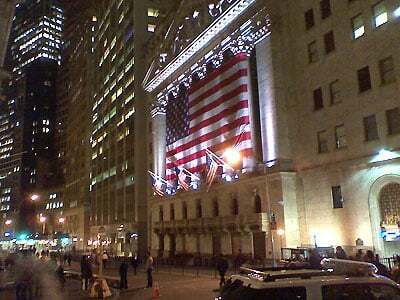 The sweaty palms on Wall Street stem from the fact that some very big names are involved here. While the fraud was taking place, Caspersen was a managing director at PJT Partners Inc., whose largest shareholder is Blackstone Chief Executive Stephen Schwarzman. PJT trades on the New York Stock Exchange and the shares tanked yesterday on the news of Caspersen’s arrest, initially dropping as much as 24 percent before closing down a little over 10 percent. A major law firm, Paul Weiss Rifkind Wharton & Garrison – the firm that has serially represented Citigroup over fraud charges – was brought in by PJT to investigate the matter according to Bloomberg News. But the biggest bombshell comes from the related complaint brought by the Securities and Exchange Commission against Caspersen. One of the four largest banks in the U.S., Bank of America, was where Caspersen set up the fake investment account, wired $25 million into it and then transferred $17.6 million out of it into his own personal brokerage account according to the Justice Department complaint.